New Author Publishing | Sandy Buck . 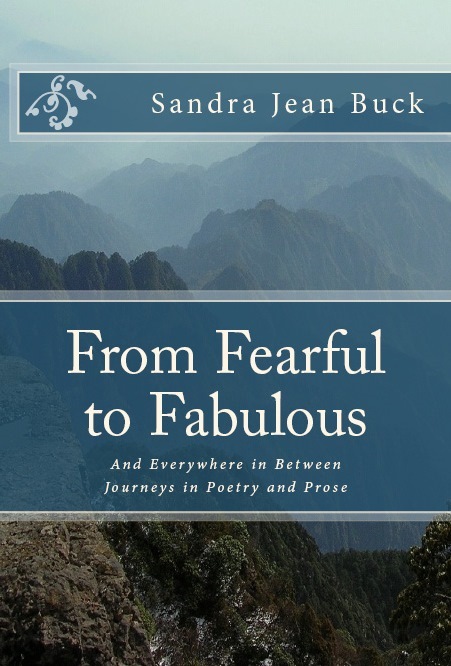 From Fearful to Fabulous and Everywhere in Between, Journeys in Poetry and Prose, is Sandy’s first published book. It reflects not only her own experiences, ideas and concepts, but also reaches deep into the hearts of others to reawaken the slumbering spirit residing there. Allow the rich imagery woven into each piece to take you on a very personal journey of your own. No matter your culture, gender, background or spiritual path, you will find bits of yourself within these carefully scripted pages. Sandra Jean (Sandy) Buck currently resides in Brockville Ontario with a few furry friends. She weaves her formal education and training together with traditional First Nations Shamanic teachings, the Rainbow Circle Teachings and her natural intuitive gifts. 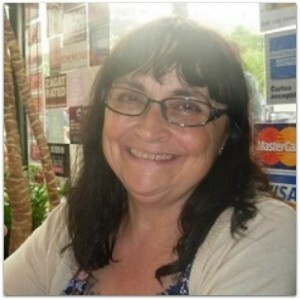 She is a retired nurse, a Reiki Master/Teacher, a licensed hypnotherapist and an Ayurvedic Head Massage Practitioner. Sandy’s intention is for the reader to become aware of their own inherent perfection through the self-reflection and compassionate thought that her writings may foster. It is her belief that the answer to every question is already within us. Sandra Buck is a lovely spiritual woman who has created a lovely spiritual book. Her poetry and prose are a reflection of her vocation of healing. Those who know her understand that she is the real deal: balanced, loving and deeply committed to living her values. She has few peers as a reiki master and cares deeply for the people and animals in her life. When she writes: “it is time to walk the path ahead/I am ready to begin living free” you believe her. Take some time to read this book; it will leave you feeling like something pure and beautiful has found and blessed you. A wonderful book that beautifully chronicles a life well lived and peace hard won. Sharing both the light and the dark, I found it honored the courageous human spirit in all, that she spoke with great understanding and empathy that can only come from experience and transformation.